Acupuncture dates back beyond 5,000 year as the primary health care system in China and was traditionally used as a preventive medicine. In recent years, acupuncture has gained popularity in the West. The World Health Organization has identified over 40 conditions that are successfully treated with acupuncture and new studies are constantly finding new applications. Now, recent studies have verified that acupuncture stimulates immune function which increases resistance to viral and bacterial infections. Acupuncture also boosts vitality. Because it treats both the symptoms and the cause, acupuncture provides a more complete healing. Acupuncture treatment is drug free and so there are no side effects. Acupuncture can improve athletic performance and can speed healing as well as eliminate discomfort of many sports injuries. Acupuncture treatment may be used in conjunction with other medical care such as for pain control after other medical and dental procedures and to lessen the side effects of some drugs. As a health system, acupuncture uses natural laws and energetic principles with the application of needles to specific points on the body. Each point provides a function in the body in regulating the free flow of Qi, vital energy, for health and well being. With the needles, the acupuncturist opens or closes specific points along pathways of energy flow, called meridians, which go deep into the body. The needles can affect the energy flow along the meridian as well as in the organs connected to each meridian. Disease is treated or prevented by stimulating or decreasing the flow of qi through specific acupuncture points in the body. Trained acupuncturists use a highly developed system of corollaries to diagnose, treat and test the immediate success of the treatment. On the first visit, the acupuncturist conducts a detailed interview with the patient to provide indications to the overall pattern of health. By feeling any variations in the pulses on both wrists, the acupuncturist can determine how the energy is flowing in the body and where it needs to be balanced. The tongue is also examined as well as the appearance of the face and skin, the sound of the voice and the smell. The emotional and mental state of the patient is also taken into consideration. Putting together all the information derived from this examination, the acupuncturist is able to identify a particular pattern and determine a conclusive diagnosis. 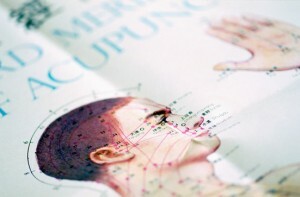 From the diagnosis, a treatment plan of specific acupuncture points is selected. Acupuncture may be combined with other modalities such as moxibustion, cupping, heat therapy, tui na, exercise, nutritional advice, and Chinese herbal medicine. Acupuncture is very effective as a preventative medicine and in treating signs and symptoms. Studies indicate that acupuncture has an effect on the central and peripheral nervous systems and also releases endorphins from the brain, making acupuncture especially effective in pain control. There is evidence that acupuncture affects sugar, cholesterol and triglyceride levels in the blood, gastrointestinal functions and the activity of the endocrine system. 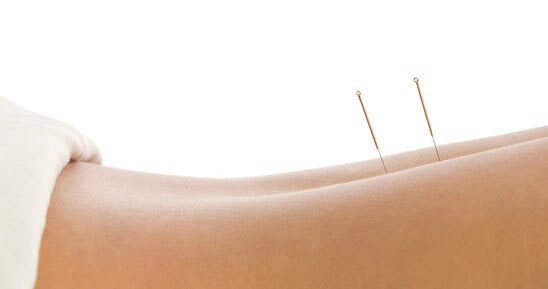 Acupuncture improves circulation of blood and works with the body’s own natural energy. Results may be slower than western drugs, but there are no side effects and results are long lasting. Acupuncture needles are extremely thin and with the acupuncturist’s high level of skill in inserting the needles, there is usually no pain. Once the needle is inserted there may be a sensation of numbness, heaviness or tingling. 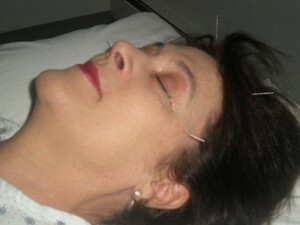 Most people experience great relaxation during the acupuncture treatment. Can acupuncture be used on infants and children? Yes. Primarily, needle-less treatment is used on young children. Studies show success in treating jaundice in new borns. Infants and babies can also be treated successfully for colic, earache, cerebral palsy, myopia, seizures and bedwetting. The elderly can experience great benefits from increased circulation. Insomnia, mental unclarity, high blood pressure are some of the ailments treated successfully with acupuncture. Pain relief from arthritis can be controlled and diminished. Acupuncture is especially recommended for stroke survivors as soon as possible after their diagnosis as it can eliminate or decrease related paralysis, and help prevent a second stroke. Is acupuncture a replacement for western medicine? No, but it is a good alternative. In emergency situations, it is recommended to first seek immediate medical treatment at a hospital in case surgery, tests, x rays or life support equipment are needed. Acupuncture first aid can be given in certain situations. Many insurance companies are now covering acupuncture as an alternative therapy. Qi Harmony Acupuncture accepts most insurances but it is always a good idea to first check your eligibility with your insurance company.